Photo courtesy of The Sioux County Capital-Democrat. Adult Dutch Dance practice dates are set for six Monday evenings, beginning in April. The dates include April 11, 18 and 25, as well as May 2, 9, and 16. Each practice will be held from 6:00 p.m. to 6:50 p.m. at the Orange City Town Hall. 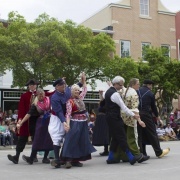 Authentic Dutch costumes are required for participants. Participants are encouraged to find their own dancing partner, but assistance will be provided if needed.  Questions can be directed to the Tulip Festival office at 712-707-4510. The Tulip Festival Steering Committee is pleased to honor Brian De Jong as the parade marshal for 2016, as announced at the Tulip Festival Extravaganza on Wednesday, March 16. A native and lifelong resident of Orange City, De Jong rode floats and carried cheese in the Dutch Heritage Walk as a young boy. De Jong’s involvement with the festival since has proven significant, as he’s volunteered in a variety of capacities. He’s carried province flags in the parades, pushed “De Bloomenmarkt” cart in the Dutch Heritage Walk, assisted with the Night Show, Dutch danced, and guided city bus tours. His longest-standing role as a Tulip Festival volunteer, however, is his time working in the Windmill Information Booth. “My favorite job at Tulip Festival? 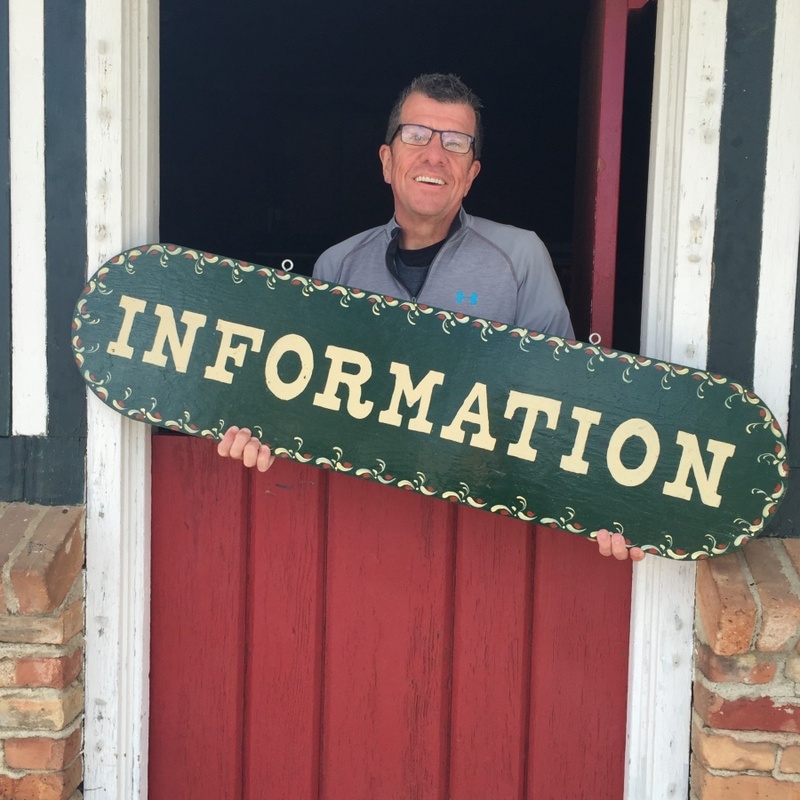 I loved so many, but if I were to narrow it down, it has to be the Windmill Information Booth,” says De Jong. De Jong has sold tickets, given directions and answered Tulip Festival questions in the Windmill Information Booth for more than 20 years. “I love meeting the many visitors – finding out where they are from, how they heard about the festival, and seeing the excitement they have while visiting,” he says. 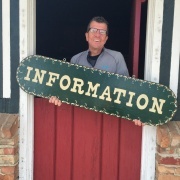 In addition to riding in each of the festival’s six parades as the 2016 parade marshal, De Jong will continue his role with the Windmill Information Booth, coordinating volunteers and greeting thousands of visitors. Queen Ava Grossmann and her Court will wear the authentic 1880s Protestant dress from South Beveland for the 2016 Tulip Festival. Image courtesy of Generations – Portraiture and Weddings. The annual Orange City Tulip Festival Extravaganza was held Wednesday, March 16, at Prairie Winds Event Center. The event featured a luncheon and program during which the costumes for the 2016 Tulip Queen and Court were revealed and the 2016 parade marshal was introduced. 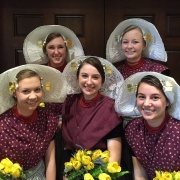 Members of the 2016 Tulip Court are Queen Ava Grossmann, daughter of Jonathan and Glenda Grossmann; Maddie Christy, daughter of Greg and Michelle Christy; Grace De Haan, daughter of Brent and Patti De Haan; Kelsey Lang, daughter of Chris and Sherry Lang; and Kaylee Puttmann, daughter of Shannon and Kristen Puttmann. Queen Ava and her Court will wear the authentic 1880s Protestant dress from South Beveland for this year’s festival. Queen Ava is wearing the formal dress and her Court is wearing the informal dress. 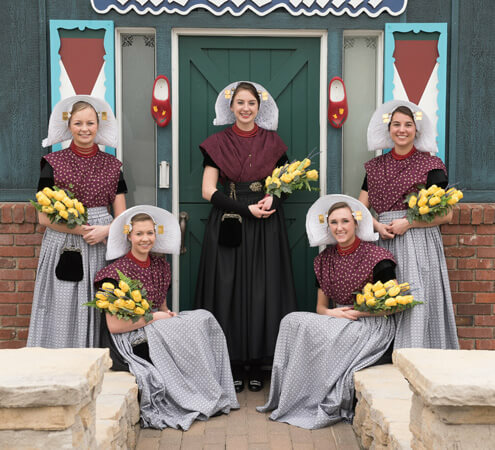 This is the first time the informal costume has been introduced at Tulip Festival, as the Tulip Courts of 1981 and 1993 wore the formal South Beveland costumes. The Court’s costume is made of a black woolen fabric, while Queen Ava’s is made from a black flowered brocade fabric. Queen Ava’s bib, or “buek” in Dutch, is made of a mulberry colored floral fabric, and the Court’s of a floral cotton fabric. The bib is covered by a scarf, or “doek,” made of the same fabric. The costume’s skirts are covered by hand-shirred aprons, with Queen Ava’s apron made of a black woolen fabric and the Court’s made of a black and white striped cotton fabric. Queen Ava’s costume also includes a petticoat made of plain color flannel. All five members of the Tulip Court wear an ear iron, or “oorijzer,” made of jewelry’s brass. A white under cap is worn over the ear iron. The most prominent piece of the hat is a rounded “hul,” held in place by pearl hat pins. Queen Ava’s is made of a white lace fabric and her Court’s are made from a white eyelet fabric. The hats are also adorned with two large, gold-head hat pins. The South Beveland dresses are accessorized with red, five-strand necklaces and black velvet purses. Queen Ava also wears knitted arm warmers and a gold broach. The 2016 Tulip Court also presented their traveling road show titled “Tournament of Tulips” for the first time. The road show, which the festival royalty wrote and will present to various organizations, schools and residential care facilities this spring, tells of the events and attractions at Tulip Festival and gives a detailed overview of their South Beveland costumes.